What on Earth is this? Those look like raviolis, not beer. Well that’s because chef and inventor Mark Zable in Texas developed a way to deep fry beer at a Texas State Fair last week. How did he do that? 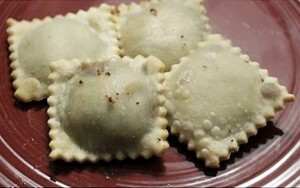 He made a pretzel-like dough, formed them into ravioli pockets, filled them with beer and deep fried them in oil (temp 375 degrees) for about 20 seconds. What a genius idea, beer and the salty snack in one delectable dish. This is one of those ideas that seem so simple, we wish we thought of it with some Gansett. So we are so excited that we are going try this with Gansett lager, light and fest. 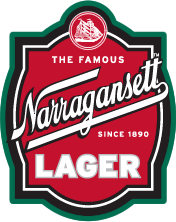 You’ll have to try it at home too with some Gansett and let us know what you think. Apparently, since the fry time is only 20 seconds, none of the alcohol burns off. Zable described it as, “It tastes like you took a bite of hot pretzel dough and then took a drink of beer.” You can read all about it in the Gawker.com article, The Future of American Food: Deep-Fried Beer and in the Telegraph.